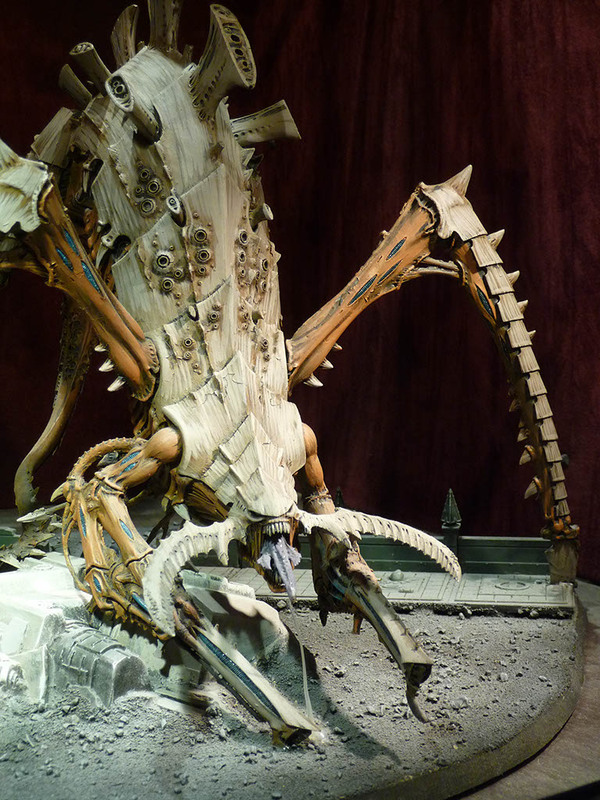 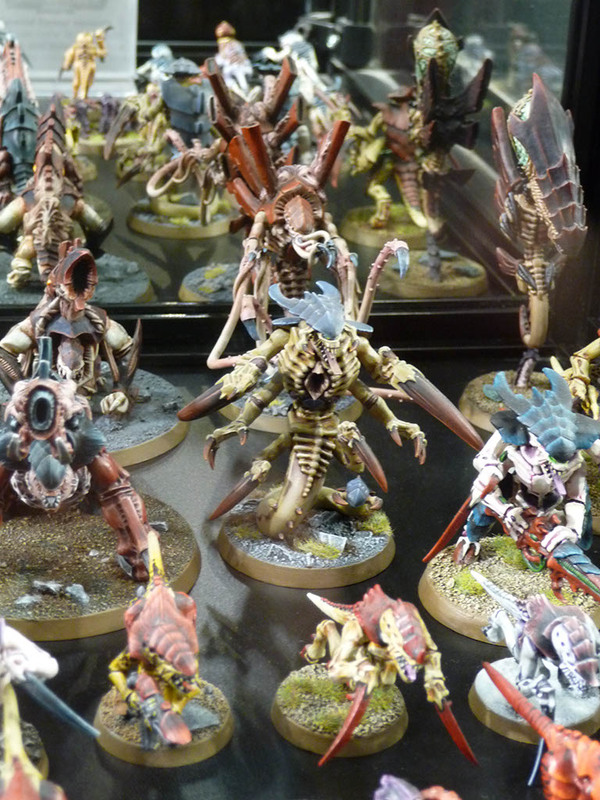 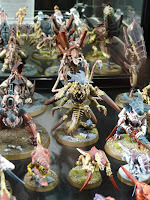 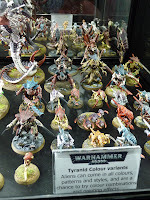 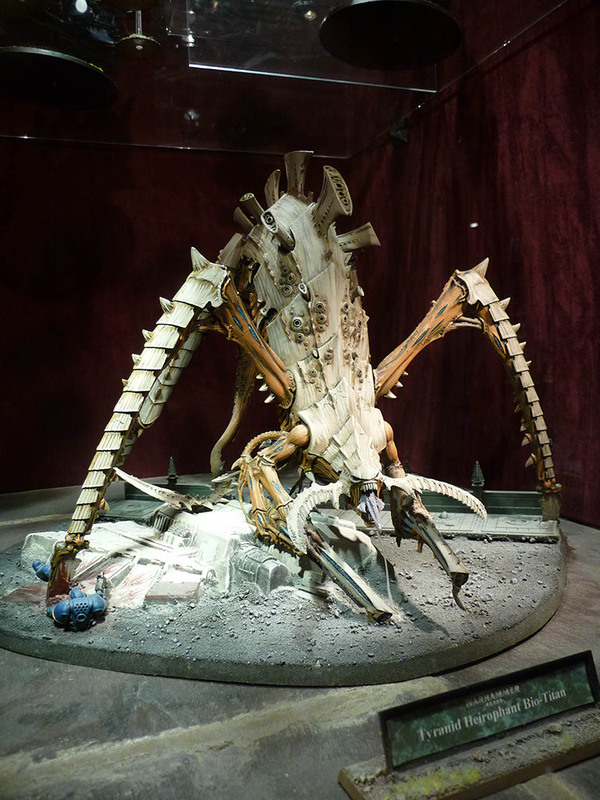 Aah, the studio collection of Tyranids. 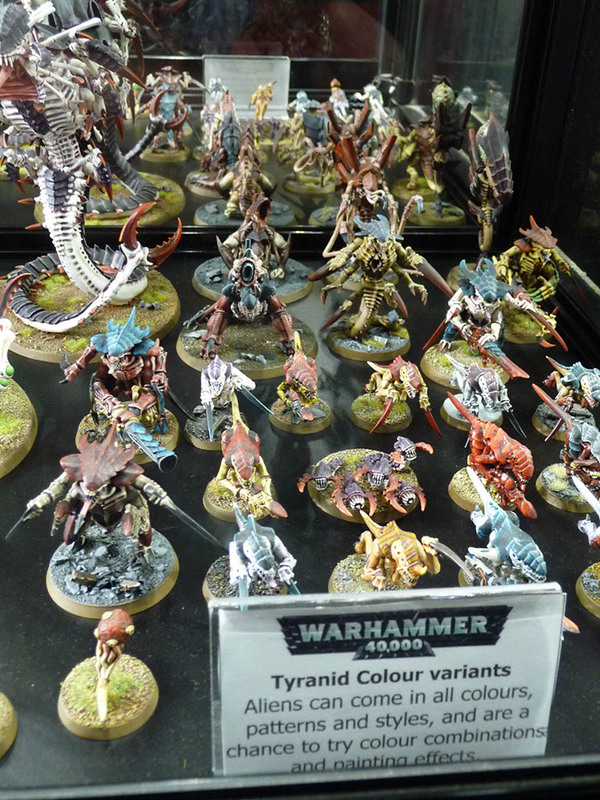 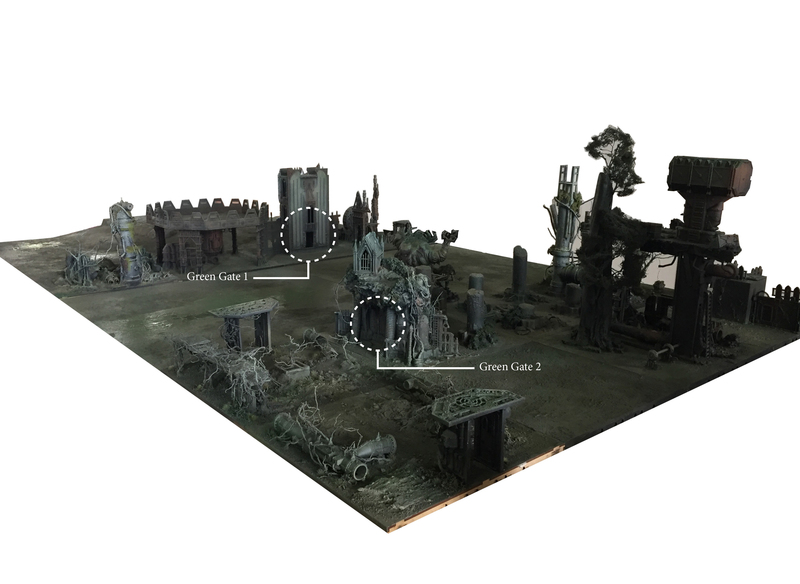 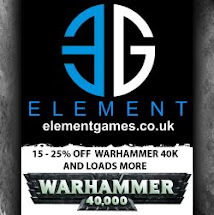 This was really quite exciting to see as you look at them and suddenly realise these are the very same figures in White Dwarf, the Codex and on the website. 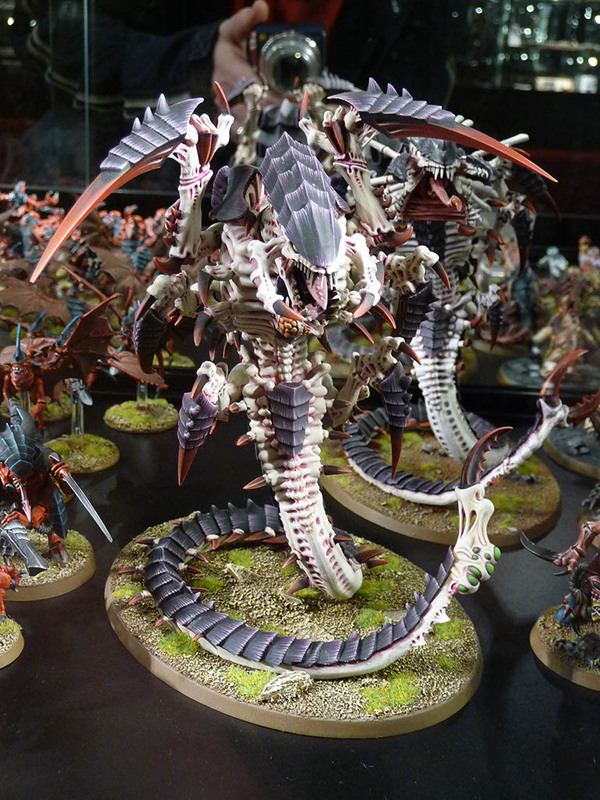 Here's the Hive Fleet Leviathan Trygon. 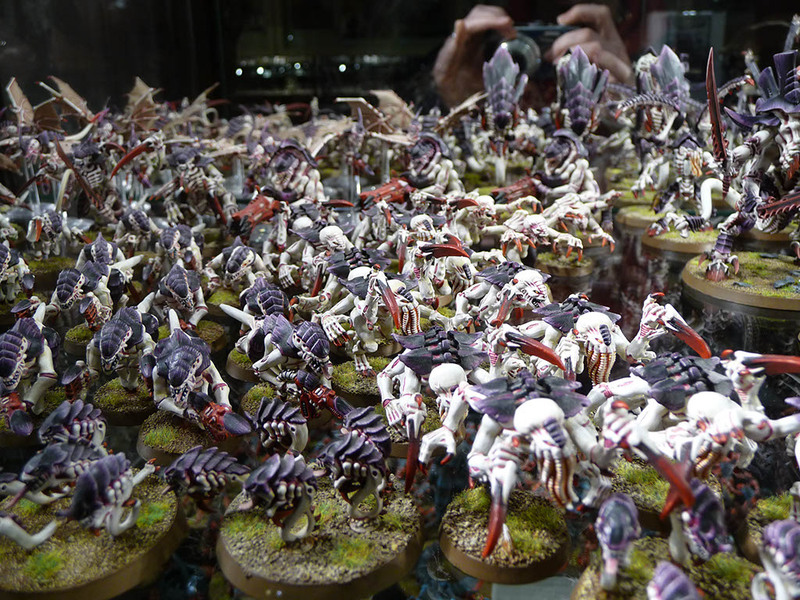 Here are the colour variants for the various Tyranid Hive Fleets. 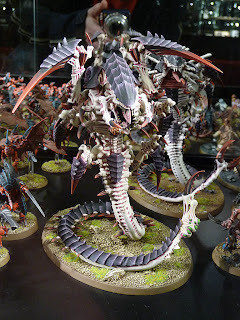 The Hive Fleet Leviathan Swam, impressive no? 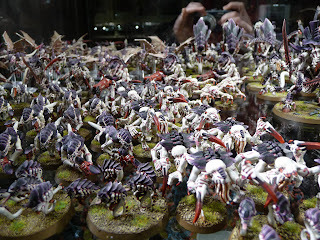 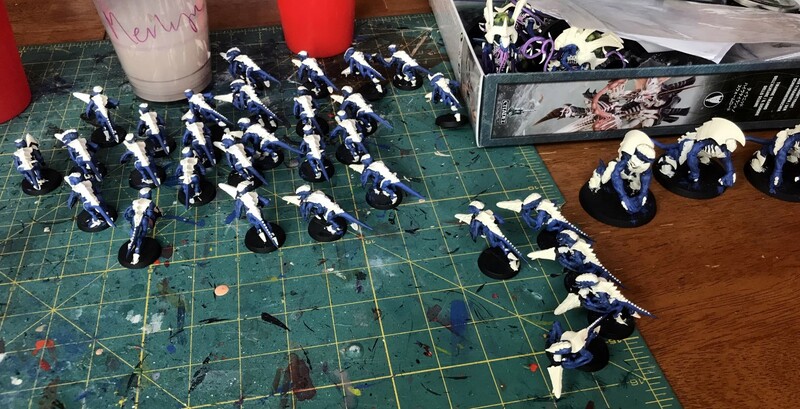 And Hive Fleet Behemoth, there is nothing like that endless sea of Gaunts. 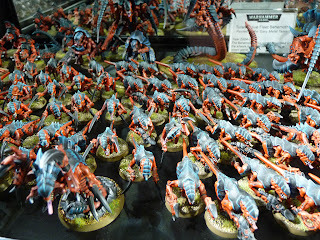 Despite the limited posing options of Termagants and the fact they all have 'Rocketdog' tails when you get them in a swarm like this they don't half look like the Galimimus flock from Jurassic Park and if you position them well they can look far more animated than their straight pose ever conveys alone. 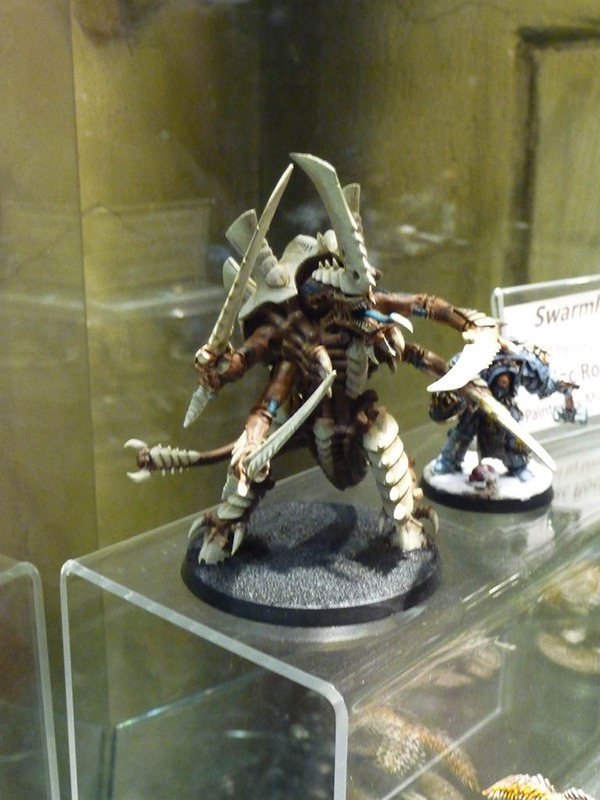 Lastly the Swarmlord, not a great pic but it was the first miniature I saw when I entered the main hall and started snapping like a fiend!